When using Time To Pet, you may want to send structured "Updates" to your clients after their visits. Visit Report Cards allow you to do just that! Using our Visit Report Cards feature, you can create your own custom "Report Card" that can be completed after an event using the TTP Mobile Application. You can also include a note and pictures as well. 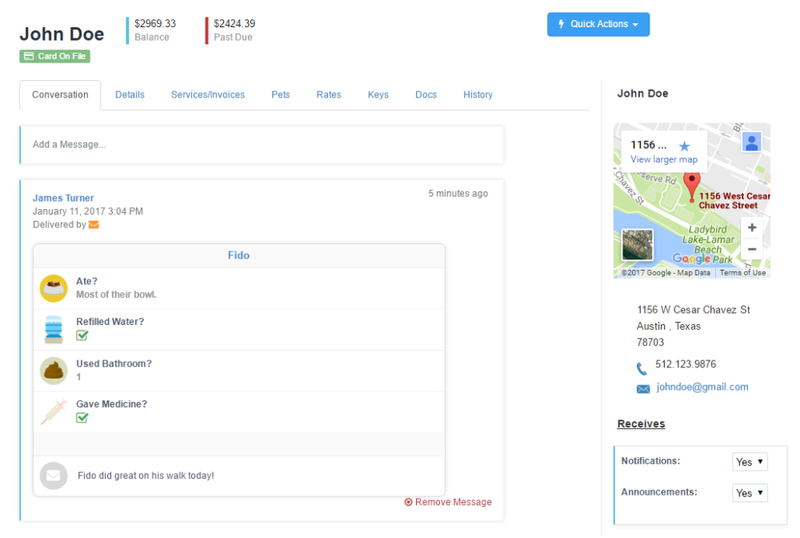 This Visit Report Card (along with the note and pictures) will be delivered to your client in real time and they can also access the Report Card in their Client Portal in the conversation feed. How Do Visit Report Cards Work? Visit Report Cards are updates sent to your clients after their visit has been completed. The first step to utilizing Visit Report Cards in Time To Pet is to configure the settings for this feature. 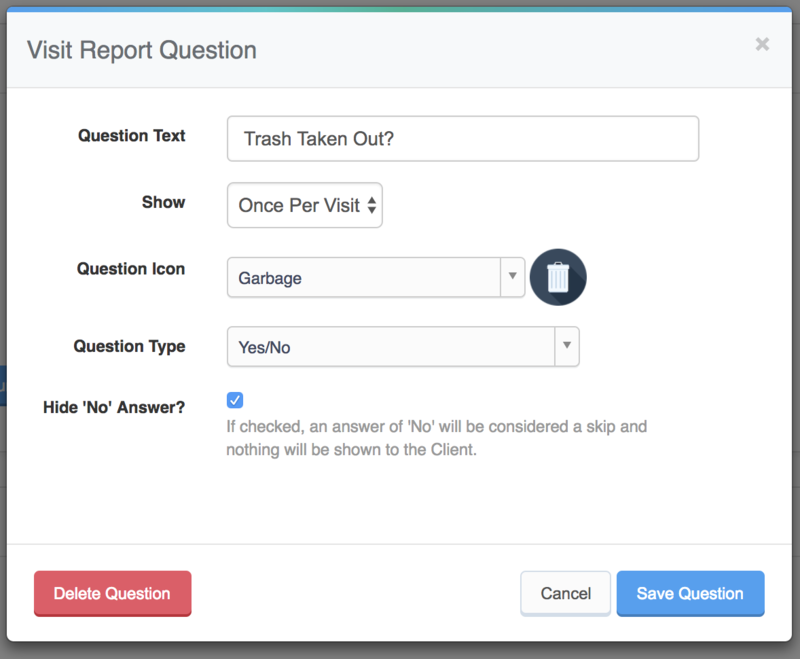 You can create any number of questions that are included in your Visit Report Card. 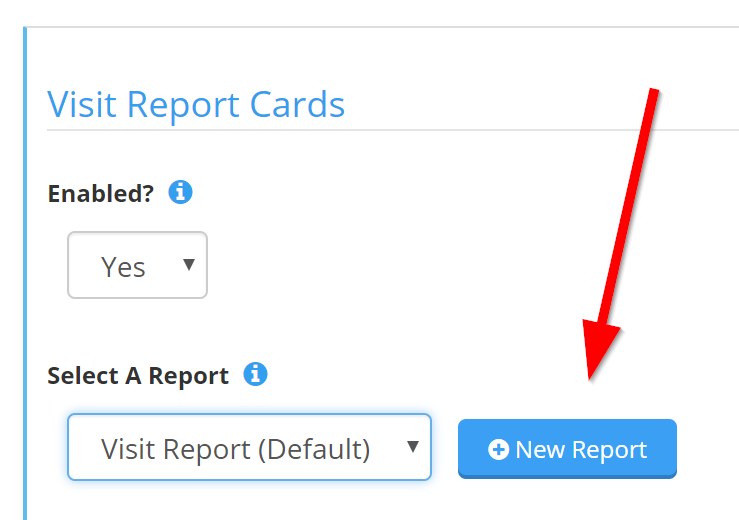 After you have configured your Visit Report Card settings, they can be sent right from the Mobile Application after completing an event! After setting "Enabled?" to yes, you can begin to add your questions. 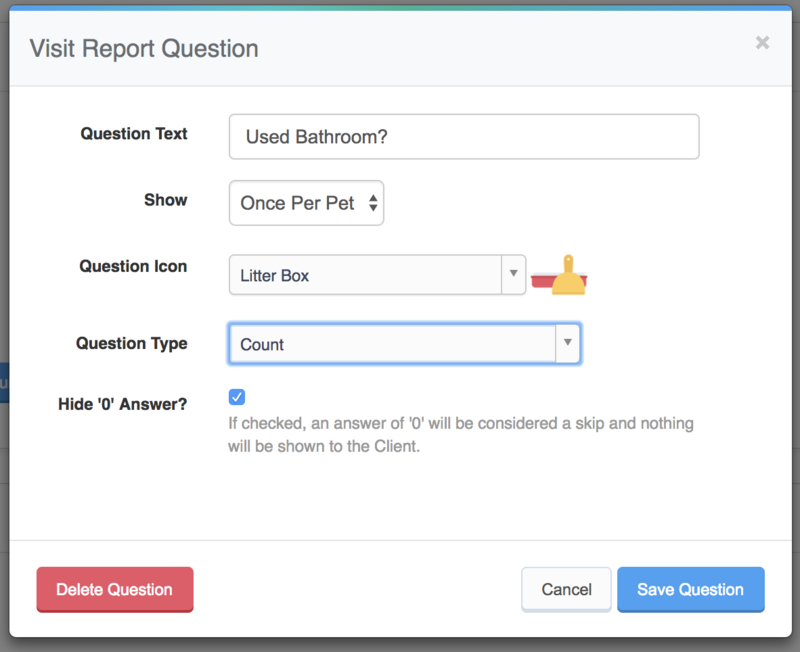 Each question includes text (what you are asking), how often to show the question (once per pet or once per visit), a question icon, and the question type. TTP supports nearly 100 different icons. Icons should be related to your question. For example, the "Water" icon may be related to a question about refilling the water bowl. 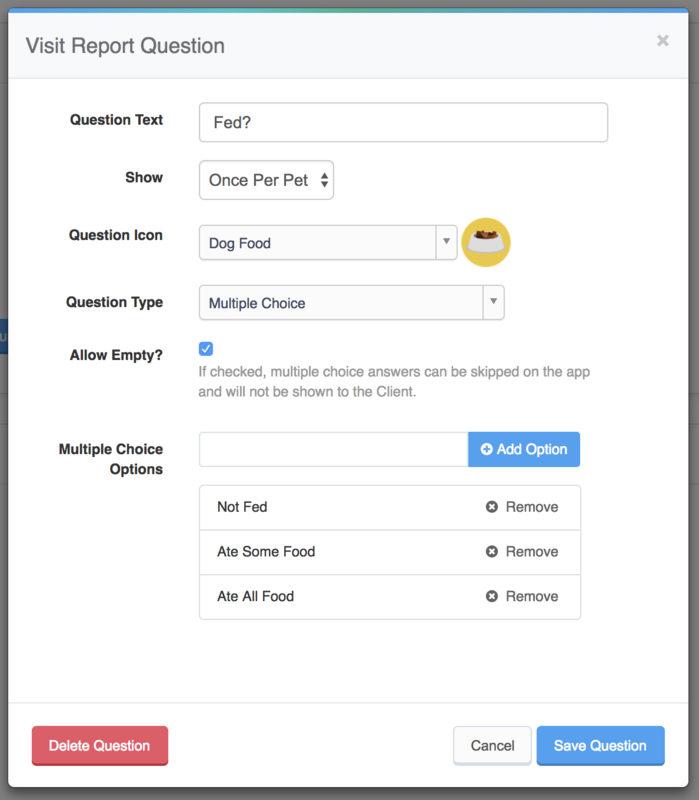 Question types can be simple "Yes/No" questions, a "Count" question (where you can enter a number), or a customizable "Multiple Choice" question. Time To Pet supports using multiple Visit Report Cards. For example, the list of questions will likely vary based on whether a service is for Dog Walking or Cat Litter Box Cleanup. You can create a “Dog Report Card” and assign this to “Dog Walking”. 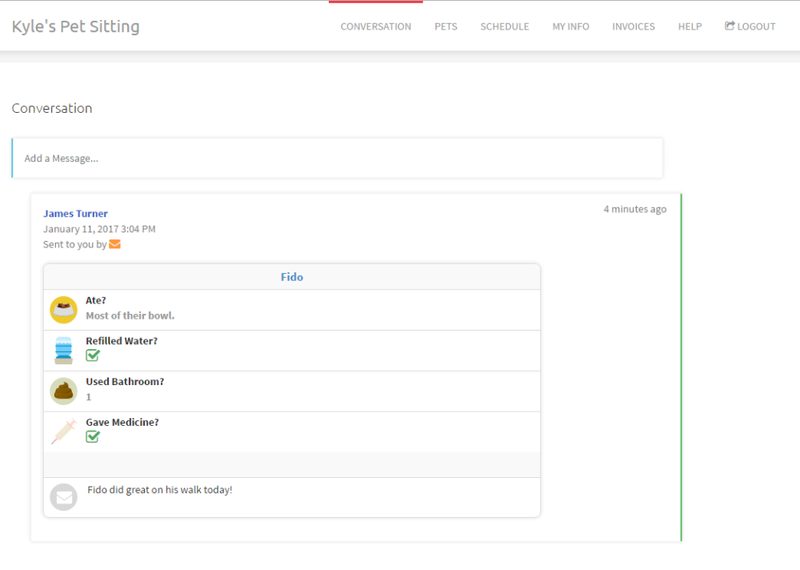 Similarly, you can create a “Cat Report Card” and assign it to your “Cat Litter Box Cleanup” service. 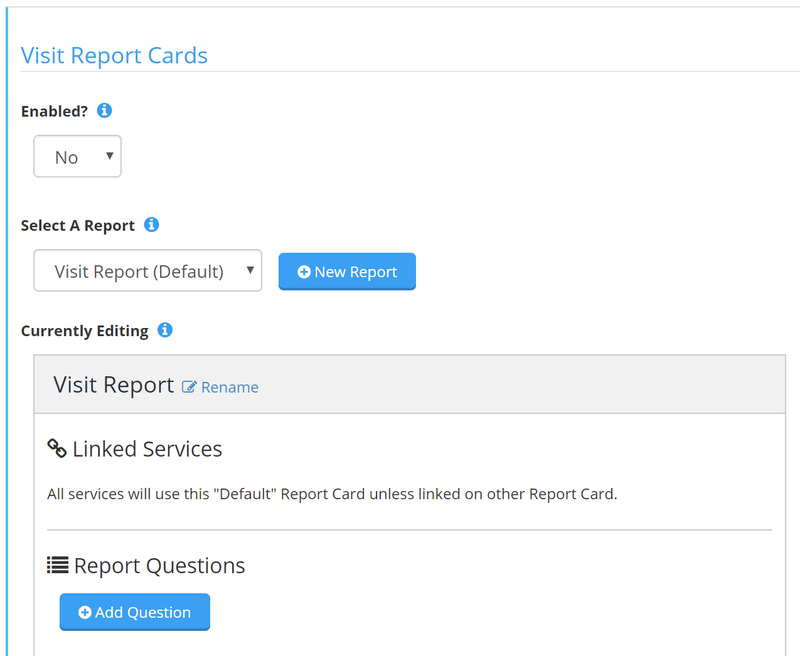 Initially, all of the questions you add will be added to a "Default" Report Card. All services will use this "Default" Report Card unless otherwise specified. Visit Report Cards can be sent to clients directly from the Time To Pet mobile application. 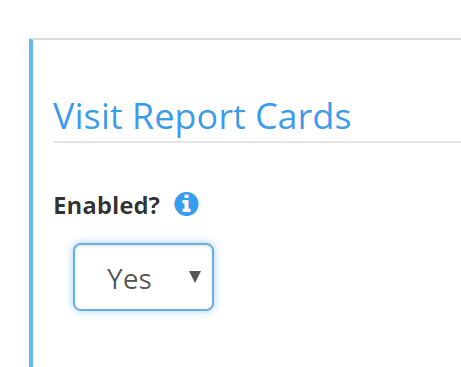 When Visit Report Cards are enabled, after completing an event you can also answer the questions listed in your Visit Report Card. Each pet that is included in the visit will get their own Visit Report Card. You can skip one (or all Visit Report Cards if multiple pets are selected) as well. Visit Report Cards work great when sent in tandem with visit notes and a picture or two. If your client receives their update via email and/or text message - they will also receive an image/screenshot of their report card as well. If you require messages sent from your staff to be approved - all visit report cards will be required to be approved as well. If approval is required, an admin can also make updates to a Visit Report Card before sending to the client.